Second time around the block for this wine (didn’t really grab me the first time but there may have been some stemware issues). 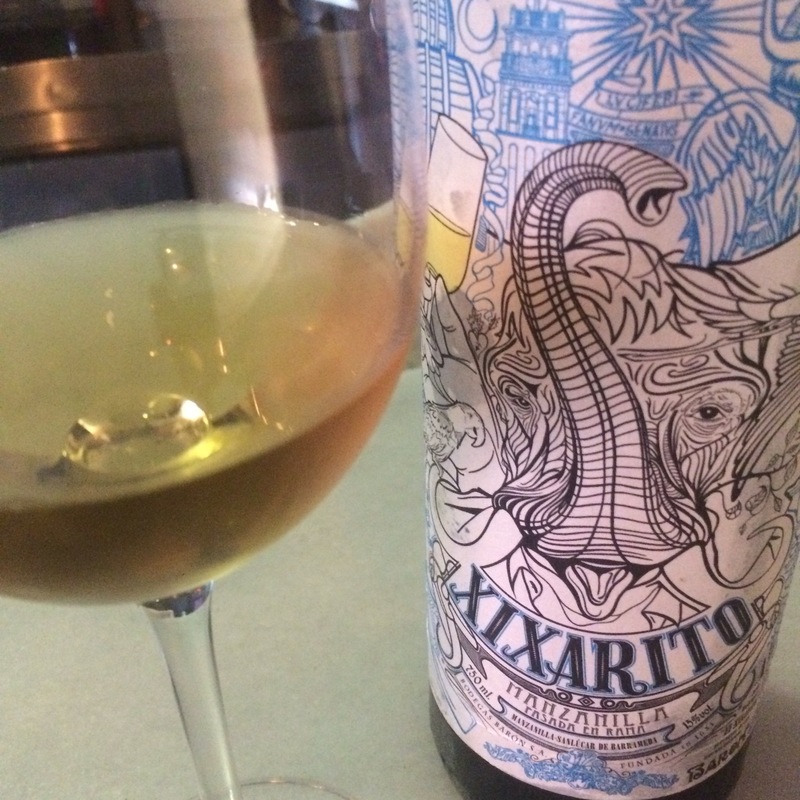 According to the website we are looking at a manzanilla with an average age of 8 years from fruit from either the El Poedo or El Hato vineyards. There is a reference to the banks of the Guadalquivir river that doesn’t appear in the ficha of the Micaela but both are aged in the bodega “Molinillos 2ª” in the Barrio Alto of Sanlucar. Since I had these two together at the Chula it is hard not to compare them. First thing you notice is the colour – this pasada is a rich gold but nowhere near as evolved. On the nose it is quite different in character too: a bitter olive, bready nose with none of the sweet citrus notes of the little cousin. Also savory on the palate by comparison, with more mineral zing and vegetable intensity and a saltier finish. A big savory, punchy wine.